Google Analytics is a free service provided by Google to track the performance of your website and provide a broad range of statistics that you can use to determine what is happening on your website, who visits, how long they stay, where they came from and a whole lot more. Something that it’s quite a straight forward process, it’s actually neglected by the majority of people and this is the fact that after you install the tracking code on your website you need to setup goals. The goals you setup for your website are the foundation of your website analysis because everything gravitates around your goals and conversion rates, the goals that are ultimately your business goals. If you are wondering what goals you need to setup, start by asking yourself what is the purpose of your website. Is it an eCommerce site and you want to sells tangible goods, is it a blog where you want to make revenue from ads, do you sell eBooks or services? What is the main purpose of your site? Then, once you figure this out you can go and start setting up goals base on your business objectives. Later, these goals will help you track conversion rates and get insights about what are the main traffic sources that send you visitors which convert, what are the keywords who send you customers, which page your visitor use most to signup for your newsletter, where are your customers from and examples can continue. Use these examples to get started, but please note that every website is unique and it will have unique goals. Google Webmaster Tools is another free product from Google which helps you see data about your website such as the number of impressions for your search queries and their position in Google, the number of links to your site or diagnosis information reported by Google after crawling your website. Additionally, you can check +1 metrics, your site performance or submit a sitemap for Google to index. But what the really interesting thing is the fact that you can connect your Google Webmaster Tools account with your Google Analytics account and get access to the new Search Engine Optimization reports. Once you do that, you will be able to see three new reports in your Google Analytics account: Queries, Landing Pages and Geographical Summary. They will help you learn more about your top performing search queries (keywords) and landing pages. 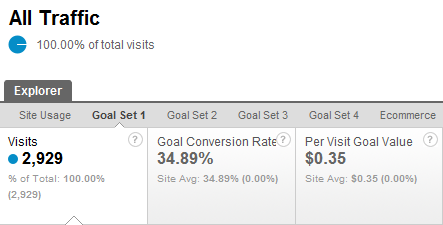 Keywords with a low click through rate, but a good average position. Once you know them, you can change the meta title and description of your page to improve their click through rate. Landing pages with a good click through rate, but a low average position. These pages can be easily run through an on-page optimization process that will improve their rankings. What are the countries of your organic visitors and who your target market is. 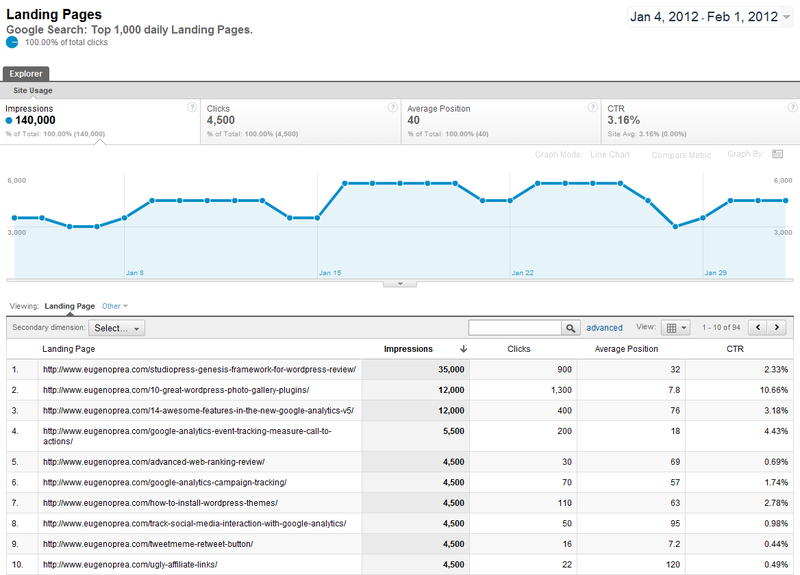 To connect your site from Google Webmaster Tools in Google Analytics, go to the [Traffic Sources] section, select [Search Engine Optimization] and then one of the three reports. At this stage you will see a page with the benefits of linking your accounts and a button where it says [Set up Webmaster Tools data sharing]. Click that button and then click [Edit] from the [Webmaster Tools Settings]. Then, you will be redirected to your Google Webmaster Tools where you can connect it with Google Analytics.